300 feet high, It has eight floors and an underwater observation deck. 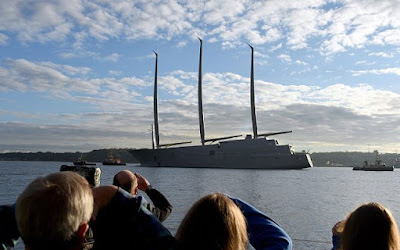 It is powered by two diesel engines and two electric motors with five-bladed adjustable pitch propellers. Its top speed is 24mph, while its cruising speed is 18mph. It can take up to 20 guests with a 54 man crew and features a steel hull and a teak deck. 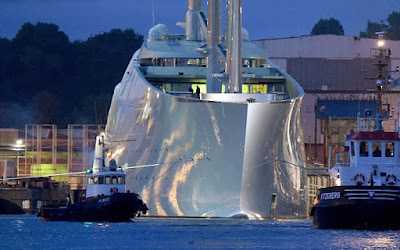 The former world’s largest sailing yacht is the 359-foot Sea Cloud, which was launched in 1931 while the world’s largest superyacht is Project Azzam, built by Lurssen Yachts for an unidentified owner in 2013 and is 590 feet in length.